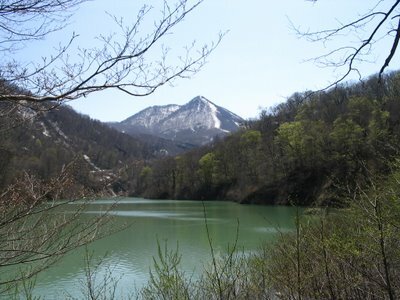 Storage lake at Irihata dam, Geto mountains. Beautiful mountain landscape. In what part of Japan is it ? In the northern part of the main island. The region is called Tohoku, the province Iwate. Japan is full of mountains, I'd say they occupy about 80% of the total surface of the country.